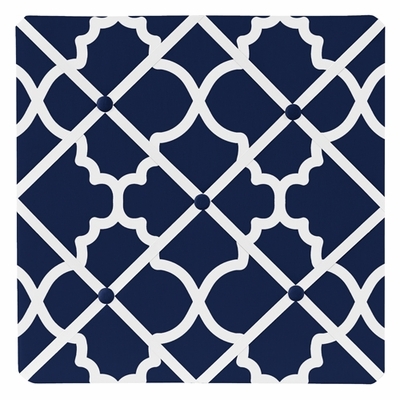 Navy and White Trellis fabric memo board with button detail will show off postcards, notes and photos. 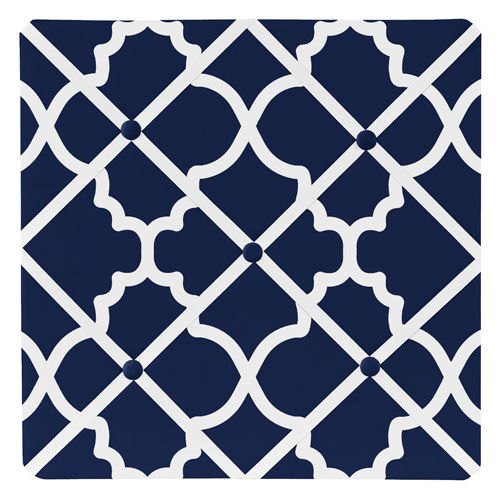 Just slip your mementos behind the decorative ribbon to create an engaging piece of original wall art. These adorable memo boards by Sweet Jojo Designs have been created to coordinate with the matching children's bedding sets.